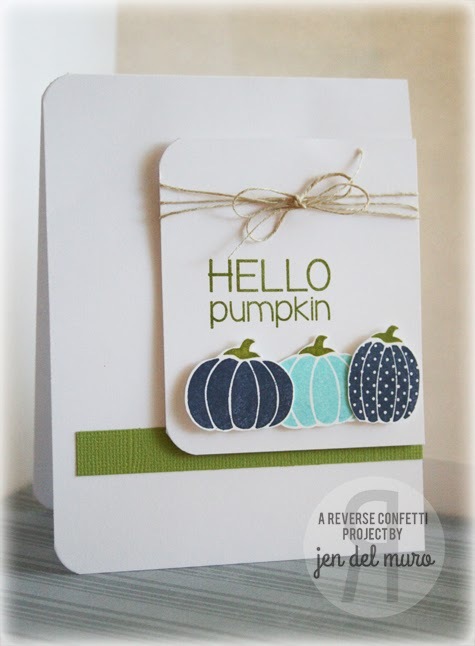 The Curtain Call Crew wants to extend a shout-out to Debbie Marcinkiewicz/Paper Sweeties for sponsoring the Curtain Call Inspiration Challenge: Gorgeous Gourds! The Gorgeous Gourds challenge entries were beyond GORGEOUS and oh, so clever! 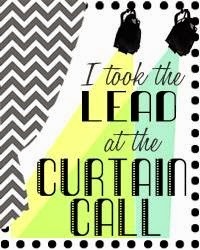 Thanks so much to all of our Curtain Call readers, followers, and participants! Congratulations, Julia! Email Stacey at (slschaf771@aol.com) to accept your Paper Sweeties prize! "Love the shape and the beautiful blue leaves!" "Julia's shaped card is beautifully CAS. The colors, inking and textures make this a winner for me!" "I love Julia's non-traditional colors. Those leaves are stunning against the white pumpkin!" "Love the way Julia shaded her pumpkin so it looks like it has ridges and the stitched leaves are fabulous!" "Julia's pumpkin is so perfectly shaded and it is such a unique shaped card!" "There are so many wonderful layers on Kay's card - layers of stitched mats, layers of flags, layers of flowers - and such fresh and cheerful colors!" "I love the layers on Kay's card! Love how neat the cuts are and the perfect stamping as well! LOVE it!" "LOVE Sarah's use of pattern, layers and texture! Her card has such life to it!" "I love Jen's simple take on the inspiration photo!" 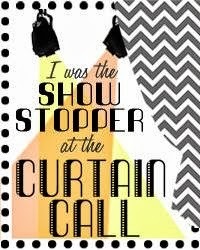 The Curtain Call will present a new challenge tomorrow, November 1st at 8:00 AM CDT! Thanks SO much ladies for choosing my white pumpkin as the Lead! I too was quite happy with how it came out - when I did the sponging I was afraid I was going to wreck it - but the ink sponged onto the Bazzill paper just the way I was trying to do it!! (that doesn't always happen! 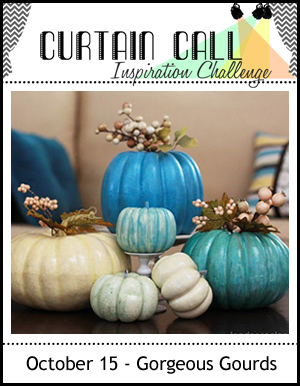 Congrats to the Show Stoppers as well - so many wonderful ideas for blue and white pumpkins!! So excited to be in this talented group of show stoppers! Congrats ladies! Looking forward to the next challenge! woohoo! amazing projects. I was so inspired. Wow Julia's card is definitely a show stopper! LOVE...congratss ladies! Thank you so much for choosing my card as a show stopper! I am honored! Congratulations to all the winners! The cards are stunning!